Employment is trending downwards under the twin burdens of tougher bank lending conditions and the looming federal election. 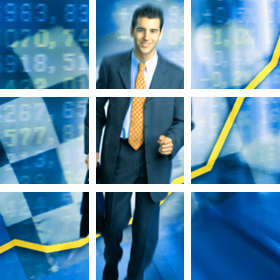 The EL Index has slipped two percent in March on the back of weaker figures the previous month. The E.L Index is now forecasting a weakening in overall employment numbers in the next few months. 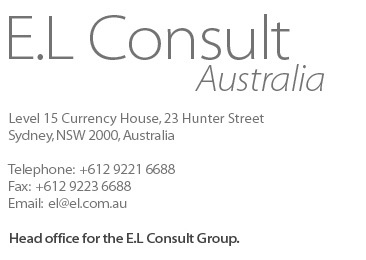 Mr Grant Montgomery, Managing Director of international executive search firm E.L Consult that researches and publishes the E.L Index, said: "We are through the New South Wales election, and now we move to the next, and arguably more important poll - the federal election. "Elections are quicksand for economic activity - business struggle to be positive and risk sinking if they get the strategy wrong. "It is safest not to do anything particularly in an election like this one with the two major parties promising some quite diverse policy outcomes. "Coupled with this a credit squeeze by the banks, particularly on small business and housing is being felt right through the economy. "Over the last few years housing construction took over when the mining boom collapsed. The struggle now is buyers cannot get mortgage finance and small business who rely on bank debt funding in many cases by mortgaging their home are being squeezed. "It would be worse were it not for the re-emergence of the mining sector with strong iron ore prices and the continuation of government infrastructure spending. Mr Montgomery said employer's confidence to employ more people is also taking a beating from the looming Federal elections. "The two federal parties are putting out quite different sets of priorities in front of the electorate and there is some disquiet among the business sector that some of the Labor policies will have a severe impact on economic growth. "Among the proposed changes to policies are driving higher wage growth without balancing this with productivity improvement, higher taxes on the now struggling property investment sector and increased taxes on retiree savings. "Just increasing wages might sound good but without productivity improvement it is highly inflationary and affects our competitiveness overseas. "We have lost most of our manufacturing to overseas already "It is Australia's largest employer, the small to medium sized businesses are particularly suffering from a crisis of confidence. Being squeezed by banks and fearful of increased employment costs and taxes is not a great position to be. "Fortunately, many in the small business sector are in construction and building trades and the recent return of the New South Government has meant that the strong infrastructure spending will continue for at least for a few more years. "Also China, despite ongoing trade wars with the US are continuing to buy with prices of commodities like copper and iron ore are healthy - this month iron ore futures traded at their highest level since trade first began in Dalian in 2013." In March, the index was supported by gains in Victoria and the ACT. However, losses in other areas, specifically New South Wales and Queensland, were enough to take the overall index into negative territory.